With spring just around the corner, I have done a little layout facelift on here. I'm still tweaking some things around, but sometimes I just need to freshen things up. The same thing happened with my facial skincare routine. 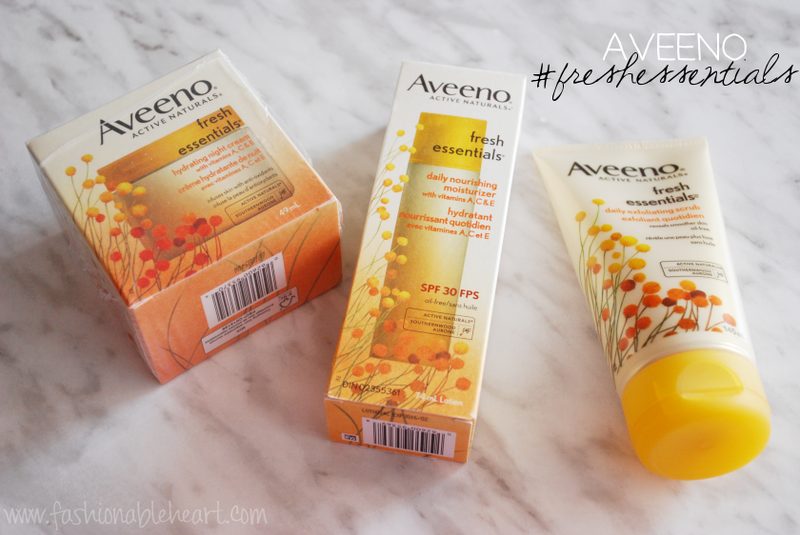 I have had the opportunity to try out Aveeno's Fresh Essentials line of products over the past month and now I'll be sharing my thoughts on it. The Fresh Essentials (Smart Essentials in the US) line consists of three products - Hydrating Night Cream, Nourishing Moisturizer, and Daily Exfoliating Scrub. It is designed to keep the good in and the bad out. Keep the moisture and radiance in and keep the drying environmental stressors out. Southernwood Extract, Vitamins A, C, and E work together to replenish your skin. Do you find your skin dull or do you have dry skin patches? This might be worth trying! All products are non-comedogenic, hypoallergenic, and oil-free. They can be found nationwide at food, drug, and mass merchandisers. This giveaway is open to my Canadian readers. No giveaway accounts. It is open until March 30, 2015 at 12am EST. The winner will receive all three products to try! The packaging is simply remarkable & totally perfect for spring. 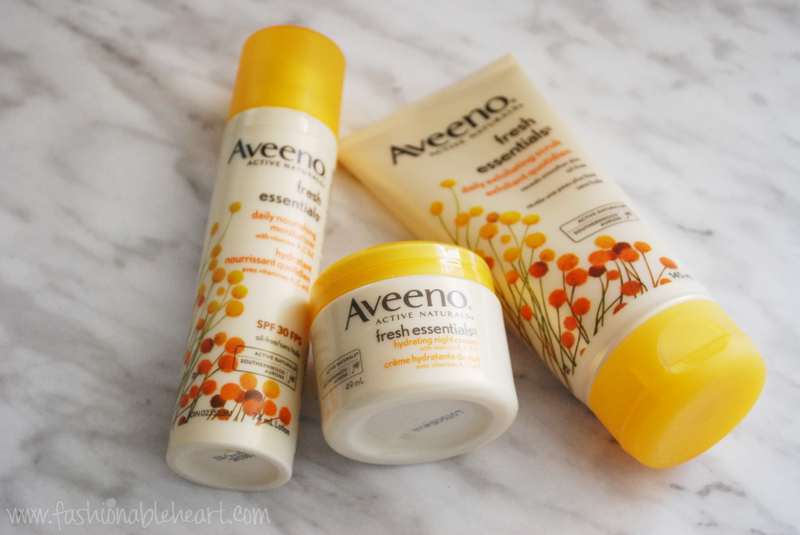 Aveeno is fantastic. I love the daily nourishing moisturizer! My lovely Walgreens makeup lady just gave me lots of samples of the new hand cream! She makes my day! 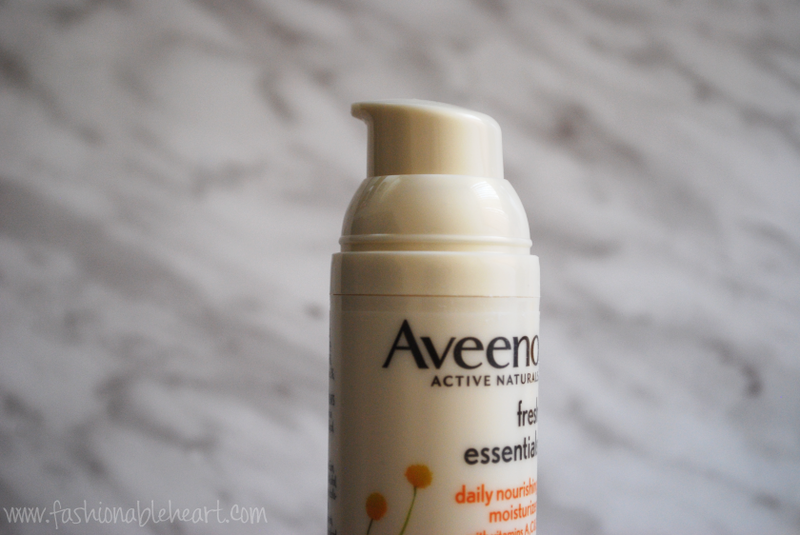 I like to use a lighter moisturizer after showering like coconut oil to feel fresh in spring. A chemical or physical exfoliator (like the St Ives one) and a good tinted moisturizer! MUST have a great moisturizer and a good conditioner! My spring essentials are new sunglasses, bb cream, and pastel nail polishes! My spring essentials are sunscreen, lip gloss and pastel nail polish. I need a great mascara, cream blush, and a pinky gloss!